Got this today through the Berry Oakley myspace. My heart is heavy having to write this and sadness as deep as it can be. Mike Callahan has gone on to join his brothers, Berry, Duane, Twiggs, Joe Dan, and Buffalo. Wouldn't it be nice if photos of Mike could be put on this thread, maybe downloaded and given to his family. I know he's in a few that I've taken at the JFD. At least everyone here could see and remember him through pictures. Godspeed and rest in peace to the dancing sound man. Love to you Callahan. Peace to you Regina. I am so sorry to hear about this sad news. Thoughts and prayers for his family and friends. 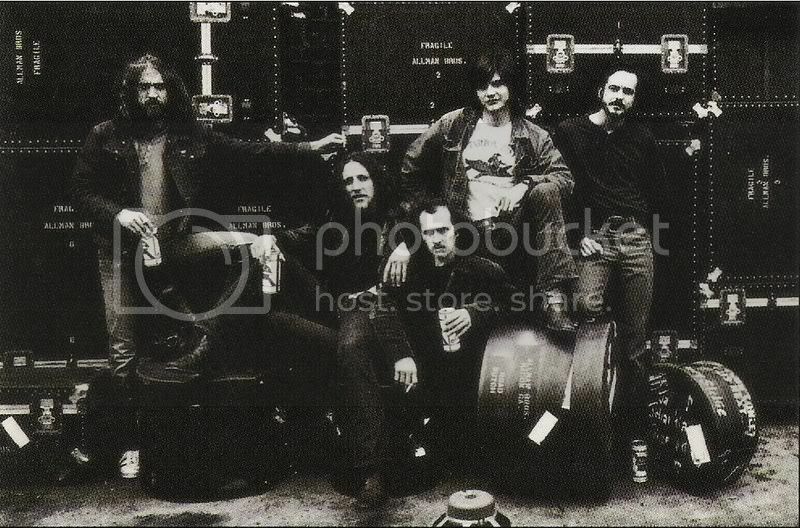 With Clay Pelland, John "Bluedad" Howard, Matt "origapch" Allmand, LUKE and others at Jam For Duane in October 2005. 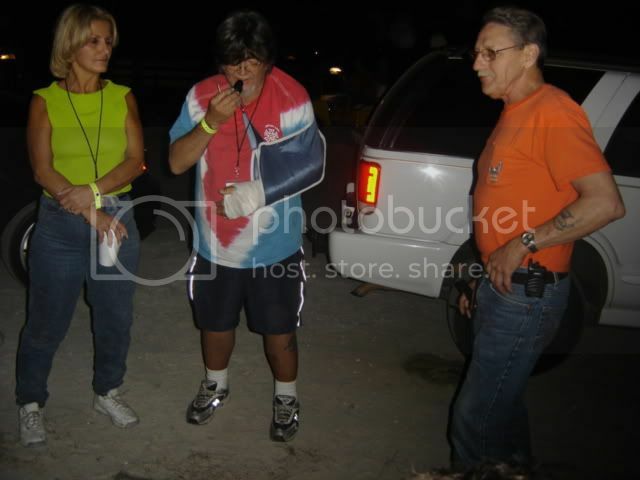 WaneeFest 2006, arm in a sling from motorcycle crash a month earlier in Macon. A very sad day. My prayers and thoughts are with his family, extended family and friends. 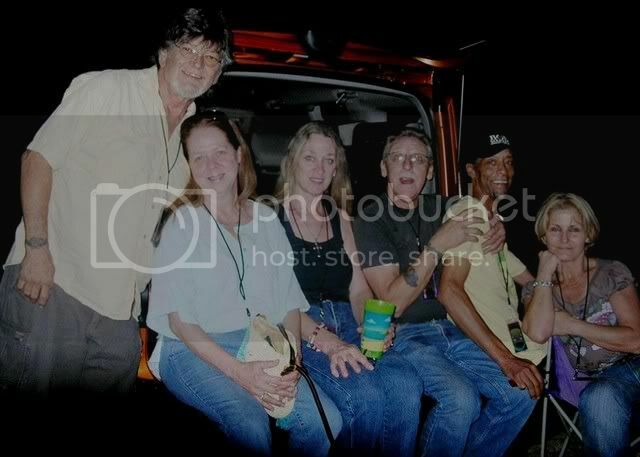 I had a few chances to meet Mike at wannee with Kim Payne. Beautiful guy. Great spirit. Bumpin' the good time Callahan photos back to the top. Can somebody help me find the photo of Mike wearing the Warehouse shirt? I don't have it saved in my pic files, and I know I have seen it. I've been all through the gallery, but can't find it. It would make a nice addition to the photo remembrances of Mr. Callahan. There's no reason to be sad. Mike is in a much better place. I betcha he's hooked up with all his buddies, plus running Saint Peter stone crazy. Can you imagine that conversation? I can. ...guess Duane and Berry needed a sound man. RIP Mike. You will always be a Brother. I never met the man, but many I call call friends have. My heart goes out to them and Mike's family. It’s hard to write the words to describe the emotions felt at this time. No matter what the warning, one is never prepared. It is a time of sorrow because of the obvious, but with tints of joy seeing the outpouring of love from so many for Michael. He was astonished, and honored, that so many cared. He hadn’t realized just how many lives he had touched. I spoke with him over the past few weeks and thanked him for the gift of our daughter, Rachael. I was able to share with him stories of her, her husband Brian and his beautiful grandchildren, Kavren and Lilli. He was thrilled to know that they shared the beauty and delight of many of the same things that he did. When Rachael was a little girl and was staying with him, they were out on the bay when the boat they were on caught fire and he had to swim her to shore. This frightened her so much that she wouldn’t even eat fish let alone catch one or get on a boat. He was so happy to know that she did grow her sea legs back and is a bit of the Callahan pirate herself. He passed on to Kavren, who is 11, the intellect and the free spirit to be whatever he chooses. To Lilli, 9, the absolute joy of living and finding the good in everything. Michael was one of he smartest, funniest, craziest and kindest man that I have known. I am fortunate to be able to carry with me throughout my life, every day, a reminder that he was here. Regina, thank you, thank you, thank you. For taking such great care of him over the years. I know he would have been lost without you. As smart as he was, he didn’t have a lick of sense. He loved you so much and counted his blessings every day knowing that you were there. Damn you're fast Eric. hehehe I posted the photo in the ((((CALLAHAN))))) thread. Hope y'all don't mind. It's one of my favorite. Sending love to the heavens...another one goes home.